There is nothing better when a meal turns into two different dinners. Last week I shared my Lime Tequila Shrimp Kabobs. Today I’m sharing how to turn those kabobs into a second meal with a Lime Parmesan Risotto. I promise that you’ll love using these leftovers. 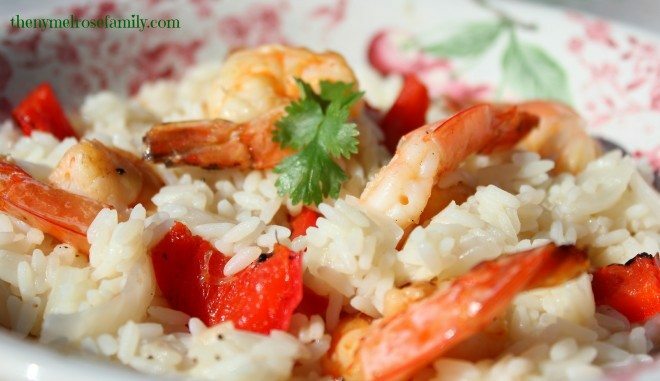 For this recipe you want to set aside some of the lime tequila shrimp and red peppers from the kabobs so that you can add them to the finished risotto. 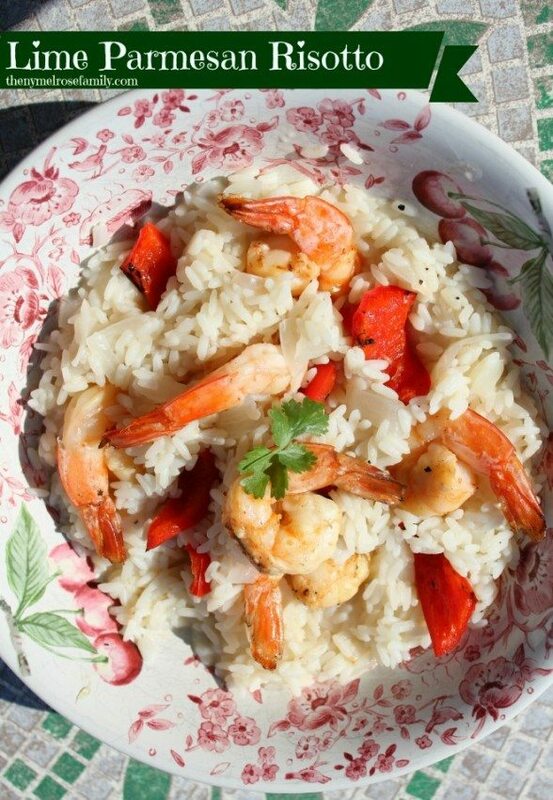 You want to make sure that you set aside adequate shrimp and peppers for the amount of servings that you have. The risotto makes two large servings since it is the main meal. I love making risotto because it is so easy to modify. I had risotto for the first time a couple of years ago. I loved the consistency of it. It’s not as dry as plain old rice and has a creamy texture to it. I try to find a protein to serve over risotto any chance that I get. My Pesto Stuffed Chicken works perfectly over a risotto and my Kale & Spinach Pesto would even work mixed in with the risotto instead of the lime juice that I used in this recipe. A lime parmesan risotto bursting with flavor that works perfectly with the summer weather. Add the extra virgin olive oil to a saute pan and heat. Saute the onion in the evoo. Cook until the onion is translucent. To the pan add the white wine, rice and 3/4 cup of the chicken stock. Once the liquid absorbs add another 3/4 cup of chicken stock. Continue to add chicken stock until the rice al dente. Once the rice is to the correct consistency add in the parmesan cheese and lime juice. Season with salt and pepper. 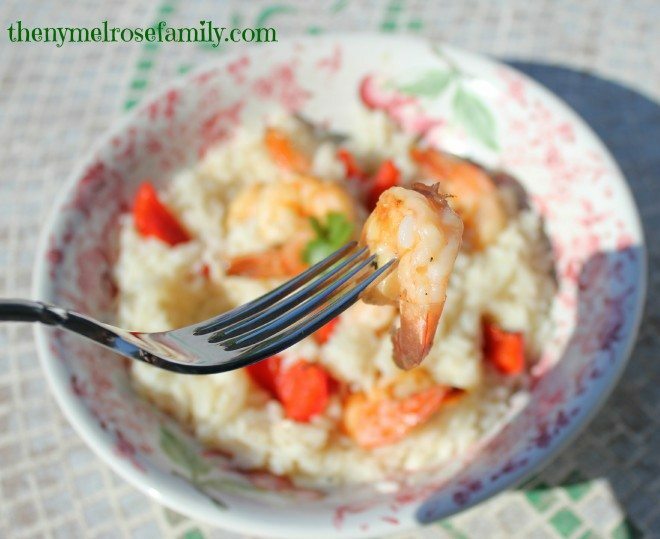 Once the risotto is finished mix in the lime tequila shrimp and red peppers from the Lime Tequila Shrimp Kabobs. Now you have you’re two meals from one! Enjoy!